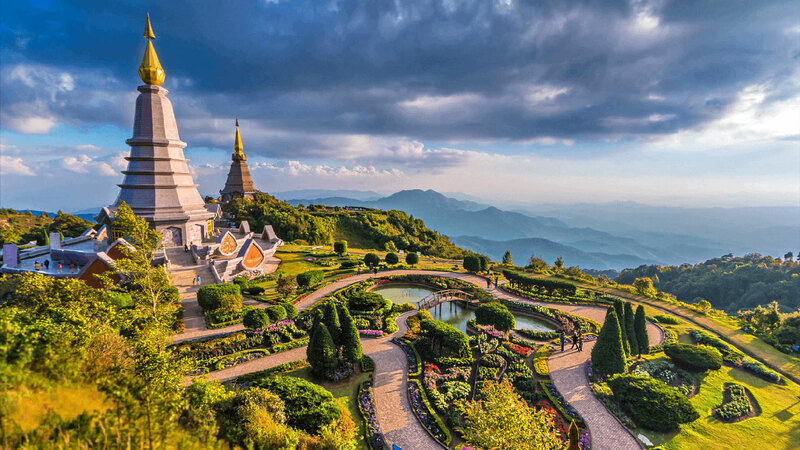 Chiang Mai is the capital of Chiang Mai Province, and the largest city in northern Thailand. Northern Thailand, one of the most visited destinations in our beautiful country. It’s such an amazing, peaceful and unforgettable place to be at for this special occasion, filled with the richest Buddhist culture and incredibly beautiful temples. Chiang Mai Wedding Packages is a great choice for an exotic and traditional location for your wedding if you are looking for experiencing something unique, completely different than it would be at your own country. Thai Wedding Packages : Thai Wedding Ceremony is the beautiful and meaningful ceremony following Thai culture, it’s open to all visitor worldwide. You will be impressed and touched by our culture. Western Non Religious Style : If you are looking for a ceremony without any religious touch, we can make it happen as well. We are going to make your dream wedding come true exactly the way you wish. Buddhist Blessing Ceremony : Have a traditional Thai wedding in one of Chiang Mai’s Buddhist Temple and be blessed with good luck, good love and good life by the monks. Pre Wedding Packages : Many places in Chiang Mai offer amazing view and location for the perfect background for your photos. Extraordinary service with the super professional team of photographers will make your Pre Wedding Photo Shoot day an unforgettable one. Elephant Wedding Packages : An elephant back wedding is unique and offers a very unique experience! We can arrange the interaction with the elephants at a number of sanctuaries in Thailand. Thai Wedding Group would love to welcome you to Thailand, The Land of Smiles, and have our team of extraordinary professionals make your dream come true. Browse our Chiang Mai Wedding Packages Showcase - Married Couple at Chiang Mai, Thailand.